How do I add meetings to the site Schedule or Calendar? 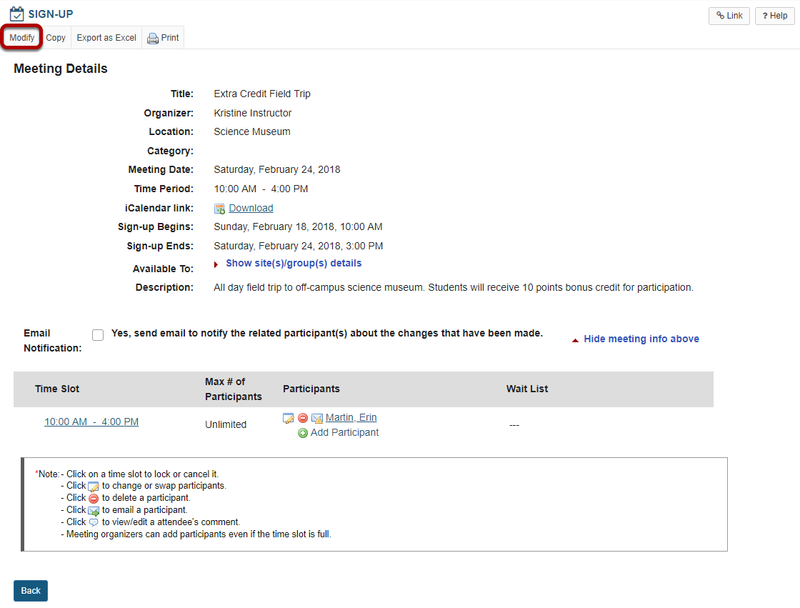 Sakai Community DocumentationSakai 19 User Guide (English) Sign-UpHow do I add meetings to the site Calendar? If you create a meeting without the Calendar tool on the site, but add the Calendar tool later, you can add each meeting individually to the Calendar. 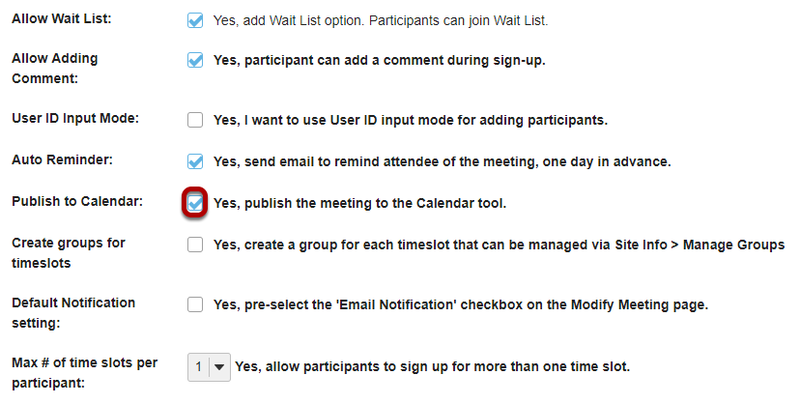 To change any of the initial settings of the meeting, use the Modify option shown at the top of Meeting Details. Click Show the other default settings. The information described in How do I create a meetings? will be shown for editing the settings of your choice. Select the check box next to Yes, publish the meeting to the Calendar tool. Prev: How do I manually add users to meetings? Next: How do I modify Sign-Up tool permissions?